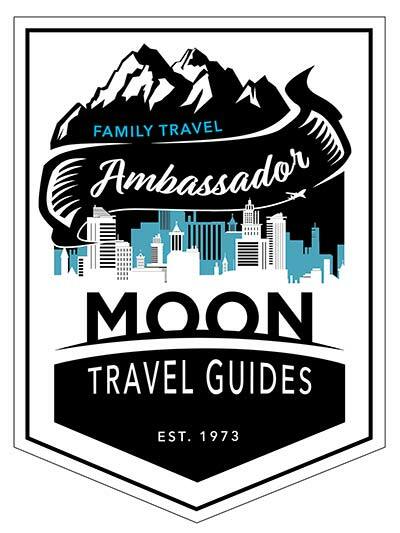 I recently partnered with Moon Guides as one of their first family travel ambassadors. 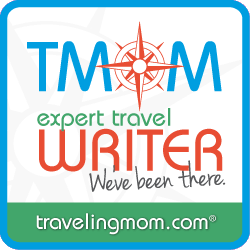 It is a natural fit as my travel style matches the Moon philosophy of independent travel and more importantly, independent thinking. Many travel guides take a cookie-cutter approach, but from top to bottom Moon defers to the individual author’s judgement. I find this means you don’t find the hordes of tourists clutching the same guide and following the same path in the Moon community. On a recent trip to Florida, I used the new edition of the Moon Florida travel guide to dig deeper into the historic sites of St. Augustine. 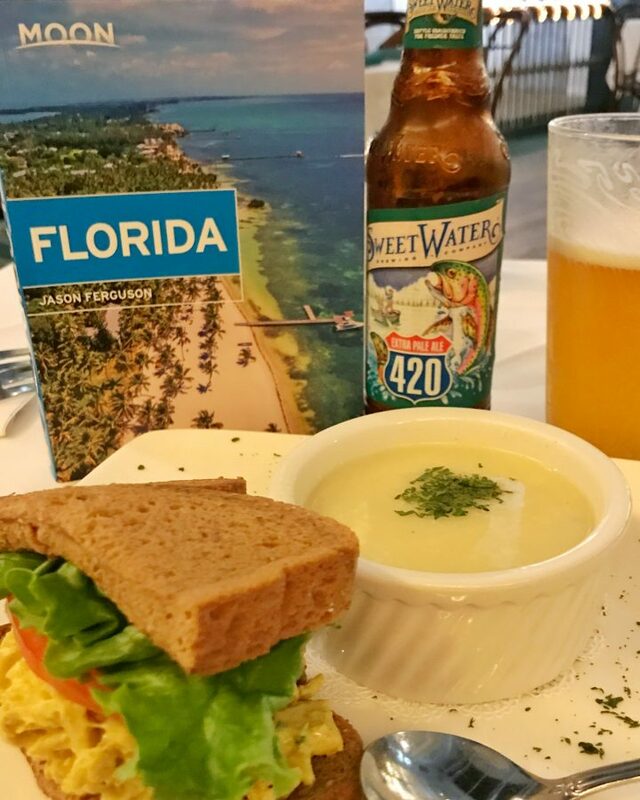 I found that Florida’s oldest colonial city is chock full of hidden gems. I’m not covering the standard sights St. Augustine is known for in this post. 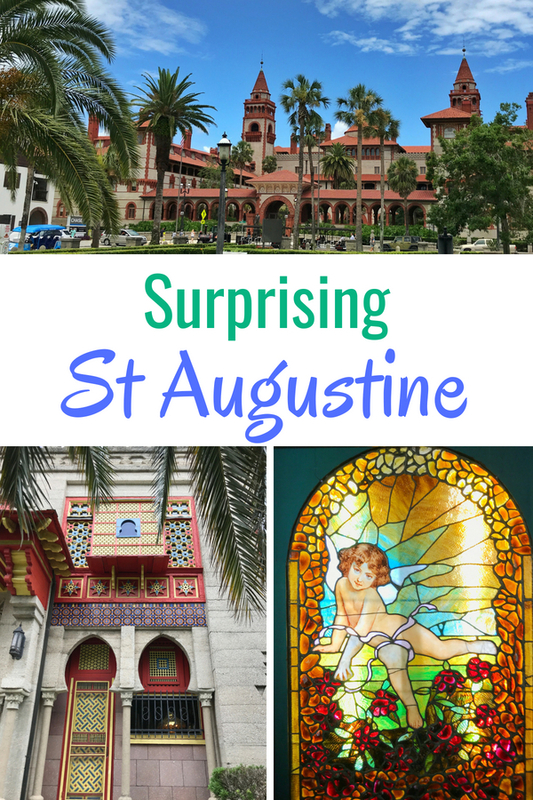 Most know that St. Augustine for the Fountain of Youth and for the Spanish Colonial cathedral and old town. While that part of town certainly deserves a visit, it’s the Gilded Age history that appealed to me most. Florida wouldn’t be Florida without Henry Flagler, and it all started in St. Augustine. Flagler brought the railroad to St. Augustine, and railroad customers needed somewhere to stay. Flagler satisfied that need with the Ponce de Leon hotel, a Spanish Renaissance marvel. 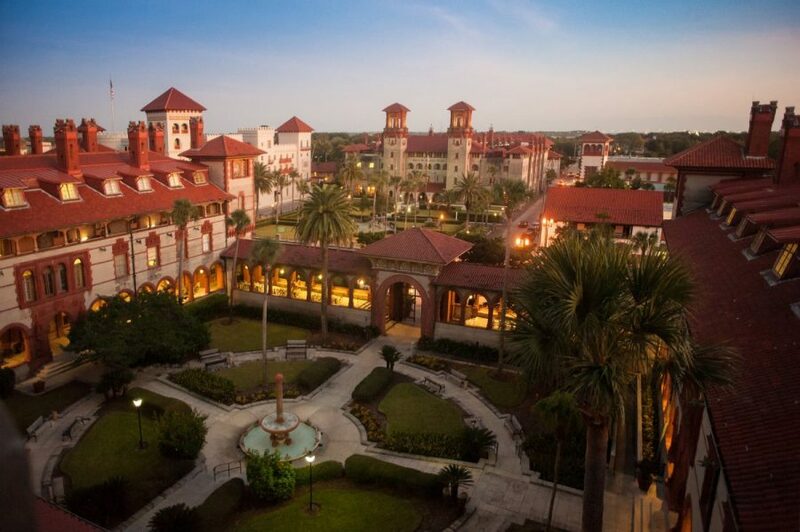 The hotel now serves as the hallmark building of Flagler College. You can take a tour of the college, but my favorite part of the experience was outside in the courtyard. Imagine my surprise when, at the top of the hour, what I thought were church bells clanged the tune to “Michelle” by the Beatles! The bells’ selections range from the Fab Four to Star Wars. The Flagler College bells “perform” hourly and are not to be missed. Moorish Arches hide a Gilded Age mansion at Villa Zorayda. Henry Flagler gets the credit for bringing tourism to Florida, and with good reason. However, I would argue that Franklin Smith, the mind behind the Villa Zorayda (83 King Street), deserves a place in history as well. Smith, a wealthy Bostonian, built the Alhambra-in-miniature in 1883 as a winter getaway. Flagler, a friend of Smith’s, observed the Moorish influence and replicated the style in his own Ponce de Leon hotel across the street. The two then inspired other Spanish Renaissance buildings, furthering Flagler’s wish to make St. Augustine a tourism capital. Imagine Boardwalk Empire dropped onto Seville, Spain and you’ve got an idea of what I found at Villa Zorayda. I find that historic replicas say more about the replicator than the history, and Villa Zorayda is no exception. Smith was a fan of Washington Irving’s Tales of the Alhambra, which romanticized the Moors, and named the mansion after one of the characters in the novel. I can’t imagine what the original inhabitants of the Alhambra would have thought of this “homage”, which played fast and loose with their interpretation. For one, the color palate of Tiffany box green, Pepto Bismol pink, and Royal blue would have been very out of place in southern Spain. And then there’s the uses to which the Villa Zorayda was put. In 1904 it was converted into a private club which featured gambling, dancing and flouting the law during prohibition. There’s even a roulette wheel displayed among a dazzling display of 18th and 19th century Arabian artifacts and other oddities. I recommend arriving at Villa Zorayda at opening for two reasons. One, you might get a chance, as I did, to spend some time with the curator, James Byles. His descriptions brought the building to life as the included audio guide never could. Two, all-day parking is included with museum admission. If you would like recreate the Boardwalk Empire experience, head to the St. Augustine Distillery (112 Riberia Street). While I wasn’t a fan of their rum (it’s aged for less than a year while I prefer older rums), the New World Gin was a hit with Deal Dad. He reported that the taste was much different from a traditional gin such as Bombay Sapphire. The New World Gin featured strong orange notes that Deal Dad deemed great for summertime. Another fun tasting room is right down the street from Villa Zorayda. The Ancient Olive at 47 King Street pours generous samples of artisan olive oils and vinegars. I took home a cinnamon pear vinegar that is terrific on vanilla ice cream. I could have moved into the Lightner Museum. 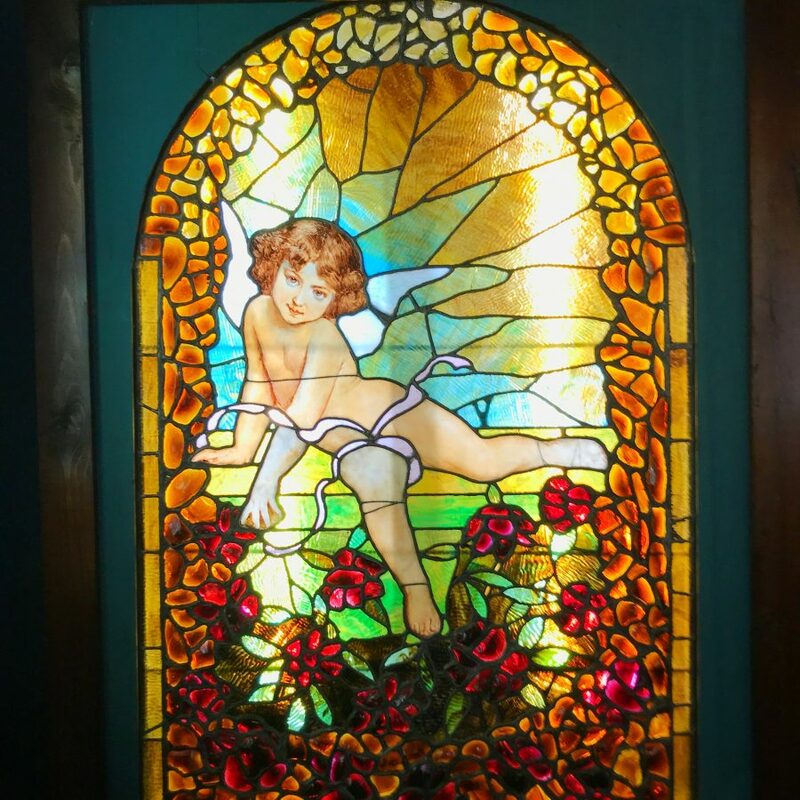 If you are a fan of marble statuary, stained glass cherubs or are a hotel geek like I am the Lightner Museum (75 King Street) will feel like your Dream House. Another Flagler Spanish Renaissance revival marvel, the Lightner Museum was originally christened The Alcazar Hotel (yes, after the Alcazar in Seville, Spain) in 1888. The hotel was state of the art, featuring the world’s largest indoor swimming pool, Turkish baths and a bowling alley. The museum kept the baths in original condition and they are fascinating. They even have a period swimming costume. 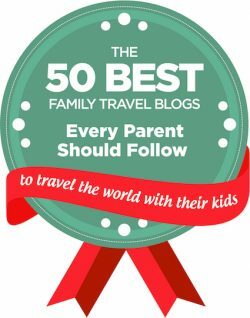 Be sure to request the scavenger hunt if you are traveling with kids. The museum brings a Victorian shopping court to life and I saw families searching through the “shops” to complete the hunt. Who am I kidding? I did the scavenger hunt, too. The Cafe Alcazar is yet another St. Augustine hidden gem. 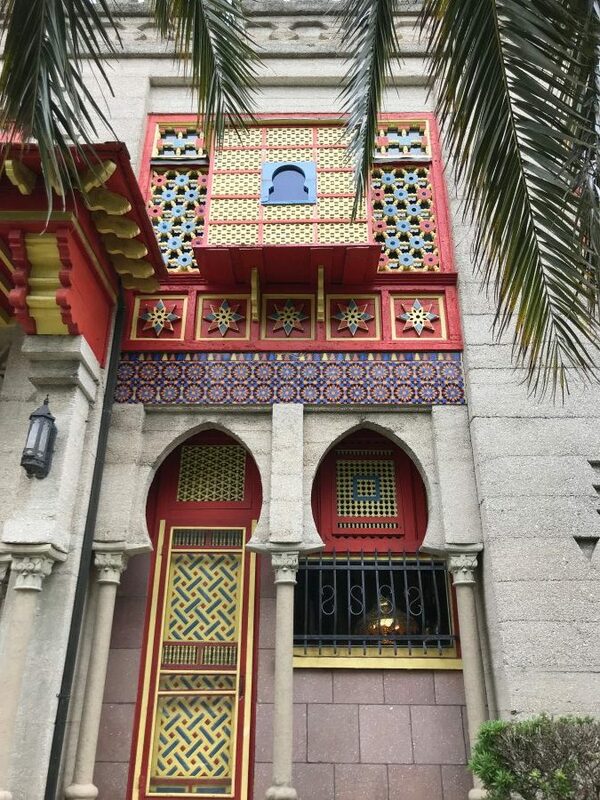 Tucked into the back of the Lightner Museum, the restaurant occupies space formerly held by the Alcazar Hotel’s swimming pool. I was lured into the Cafe Alcazar by a live pianist and am so glad I visited. I generally have low expectations of museum cafe cuisine. However, The Cafe Alcazar defied expectations with a surprising menu that contains a strong Greek influence. It turns out the cafe is owned by a Greek family who bring their ancestors’ recipes to the table. I enjoyed a golden avgolemono soup, the striking color due to a lemon-egg broth. I had never tried the Greek specialty before and now will seek it out. I’m already planning another visit to the historic sites of St. Augustine and would love to hear about your hidden gems. Please share in the comments. Thanks to the visitors bureau of St. Augustine, Pointe Vedra, and the Beaches for facilitating my visit. ← Disney World Highway in the Sky Review: Worth the Hefty Price Tag? Hi stvr, I explained that in plain language at the top and have AD in all social media. Do I need it to be more clear? Thanks.